This program will be relocating to the MCC Red Mountain Campus pending site evaluation and approval from the Arizona State Board of Nursing. 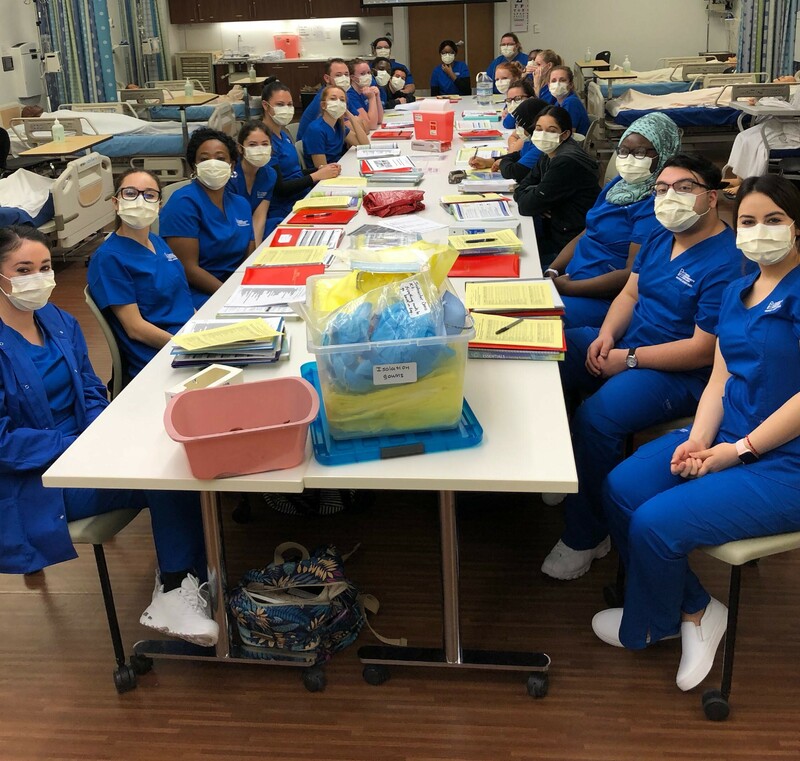 NUR158 is an 8 week course that prepares students for the Arizona State Board of Nursing exam to become a Certified Nurse Assistant (CNA) or Licensed Nurse Assistant (LNA). The course includes lecture, lab, and clinical experience. Career opportunities exist for nurse assistants to help clients/patients practice activities of daily living, provide bedside care and perform basic nursing procedures. CNA's work with patients in nursing homes, hospitals, adult day care and acute care centers, assisted living facilities and patient's homes. Are you waiting for your spot in the nursing program? Do you want to get a jump start on your healthcare career? The Nurse Assisting program may be a perfect fit! These requirements must be completed before you can register for your classes. Please see Tamara Lawrence, at the front desk in the Nursing Department, to get the needed information to complete the following steps. As of September 1, 2011 students must provide documentation that he or she has completed and “passed” an MCCCD-supplemental background check. The background check must be completed no sooner than six (6) months before the first date of the class. Detailed information can be found on the MaricopaNursing website. The instructions and MCC-specific access code for the background check must be obtained from the nursing department. A health care provider must sign the Health Care Provider Signature Form within six (6) months of program admission and indicate whether the applicant will be able to function as a nursing student based on the Essential Skills and Functional Abilities. Please read the Explanation of Health and Safety Requirements section of the checklist carefully for helpful information. Attach required photo-copies of all documents to the checklist. Keep the originals for your own records. Once documents are accepted by the college, no document will be returned to the student. NOTE: Flu Vaccine: During flu season, students will be required to receive an annual flu vaccination. Fall entry students will be required to receive the immunization in October. Spring entry students are required to have it prior to registration. Students who decline the flu vaccination for medical or religious purposes will be required to wear a mask during all clinical shifts. Further details can be provided by the MaricopaNursing program you are attending. The Nurse Assisting Course is 8 weeks in length, and combines classroom learning with experiential learning in the laboratory or clinical area. Classes are taught by a registered nurse. Students will be in class one day per week for 4-5 hours, and in the laboratory or clinical area one or two additional days per week, for up to 8 hours. Together we will dive into medical terminology, patient/resident care, skill proficiency, therapeutic communication techniques, vital signs, client safety interventions and more.